Jacob Crane has emailed Jim Boswell and asked for Golf Cart Drivers every Sunday, but especially this Easter Sunday. If you feel led to volunteer this coming Easter Sunday, give Jim a call or email. Stop by the Books to the People tables at Wednesday Night Out on April 24 and browse the selection of new library books available for checkout. This is also a great time to return any overdue books or DVDs you have checked out. The RUMC library is located in the Parlor across from the Main Office in the Chapel building and has a large selection of books and DVDs. The Annual Garage Sale and Bake Sale benefiting Job Networking will be held May 2-4. Donated items can be dropped off at the trailer near the Fellowship Hall (building “E”) before and after worship services on Sunday April 28. Through the generosity of those who DONATE and those who BUY, job seekers enjoy a hot meal every time they attend Job Networking. Volunteers are needed to help with the sale and to donate “treasures. Please bring ladies clothes (on hangers) and other household items to the Fellowship Hall beginning Sunday, April 28. We can also use your help Monday- Saturday, April 29 – May 4, sorting, setting up, selling, and as cashiers. Fun and easy 😊! You will join many other CUC members there. We can use you any day, anytime. Check rumc.com/garagesale or see Gale Davis, Mary Serafina, or Dee Scott. If anyone is interested in helping in the Book Room for the Garage Sale let Dave Roberts know. Several long-time book-sorters and book- sellers will be missing this year! Another batch of Box Tops has been sent off to Red Bird Missions and CUC has received a special Easter card from Red Bird. Be sure to sign up with Publix and with Amazonsmile.com to support Murphy Harpst Children’s Home. How-to information is available in class. Claudia Phelps requests prayers for her friend Judy Parker who has liver disease and is trying to get qualified for transplant. Our lesson this week will be brought by our own Tom Knight. The lesson title is “The Story of Ruth”, and is based on the book The Epic of Eden by Sandra Richter. The book of Ruth is short, so read the entire book in preparation for the lesson. Get Ready for the Fun of Small Group Dinners! Your Fellowship Committee is preparing for our springtime round of small group dinners. This is a wonderful opportunity to get to know your CUC classmates at a more intimate gathering. We encourage all, but especially our newest members, to take advantage of dining at a classmate’s home with 6 or 8 other CUCers. The host provides the main course and wine if desired. Each guest will bring a portion of the meal. Easy peasy! The committee will start matching up guests and hosts at the end of March. Dinners will be held throughout the spring (April, May, June) as each group selects a date convenient to all.Questions? Comments? Favorite recipes? Send all to Kris or Mary. (Kris Taylor or Mary Serafina). A note from Terry and Wanda Taylor – There have been many changes in the 2nd Quarter Refreshment calendar. Please check the CUC website – CUC Refreshments Provider Page to verify those persons that will be hosting with you. Any questions, please contact call Wanda. Thank you to the CUC members who have donated generously to support the Homestretch Church Challenge. In preparation for the “Run the River”. There is still time to donate. Homestretch Race on April 6 Tom Knight is looking for volunteers to assist with parking (at 6AM) and other duties. People are also needed for handing out t-shirts and registration both on Friday afternoon and at the race on Saturday. Please let Tom know if you can help. Responding to a request from Children’s ministry, CUC will be contributing a basket for the Easter Egg Hunt. Plan to join us on the remaining Tuesdays during Lent, through April 16, for lunch in the Fellowship Hall at noon, followed by a message from Dr. Jeff Ross. No reservations are required: cost for lunch is $6. Mark your calendars and start collecting things you don’t anymore as you think about downsizing that might bring income to Job Networking at the annual garage sale which is being held at a new time this year. The dates are May 2-4 for the sale and of course a few days before that for volunteers. Pat & Ron Peterson – March 31, 1962- 57 years! Rose Lappe for further tests and surgery to go well and she will be back on her feet soon. Peggy Rodway and Maurice (Mac) McNay are getting married on April 13th. But (Jesus’) mother told the servants, “Do whatever he tells you”. Our lesson for this Sunday will be presented by Debbie Goodwin. We were blessed by Debbie’s teaching last November when her topic was: “Five Prayers That Changed My Life”. This Sunday her topic is: “What a Servant Does First”, based on the scripture passage, John 2:1-11. This is a great follow-up to Mark Goodwin’s lesson last week on “Are you a Volunteer or a Servant?”. 1) Sign-ups will be taken until March 24th. A clip board will be passed in class or you can let a committee member know by email that you would like to join in. (Kris Taylor or Mary Serafina). 2) Simply add your name(s) and mark the column “Host” if you would like to hold the dinner in your home. 3) The host provides the main course and wine if desired. Each guest will bring a portion of the meal. Easy peasy! 4) The committee will start matching up guests and hosts at the end of March. Dinners will be held throughout the spring (April, May, June) as each group selects a date convenient to all. Questions? Comments? Favorite recipes? Send all to Kris or Mary. There is now a First Aid Kit in the CUC closet equipped with everything from a bandaid to a devices for checking blood pressure and blood oxygen level. In order to determine if what is needed is in the bag, there is a list of supplies included . With 18 CUC members receiving their certificates having taken a CPR course given by Teresa Dean recently CUC should be prepared for any emergency. A note from Terry and Wanda Taylor – There have been many changes in the 2nd Quarter Refreshment calendar. Please check the CUC website to verify those persons that will be hosting with you. Any questions, please call Wanda Taylor. Thank you to the CUC members who have donated generously to support the Homestretch Church Challenge. In preparation for the “Run the River” Homestretch Race on April 6 Tom Knight is looking for volunteers to assist with parking (at 6AM) and other duties. Please let Tom know if you can help. Murphy Harpst sent a letter to CUC expressing appreciation to CUC for a recent donation of $500 to support their program to get troubled children on the right path. Plan to join us on the remaining Tuesdays during Lent, March 26 – April 16, for lunch in the Fellowship Hall at noon, followed by a message from Dr. Jeff Ross. No reservations are required: cost for lunch is $6. Bob Schnakenberg and Sharon cannot offer up enough THANK YOU tributes to our CUC Sunday School Class for your Love, Prayers and Best Wishes we received during this past week. It all began about 1:30 AM this past Monday Morning. Bob was experiencing numerous pains on his upper left arm and shoulder. Sharon said we are not going to handle this problem alone, so in about 10 minutes we were in an ambulance on our way to Well Star North Fulton hospital. They were ready for us and the treatment procedure began. Over the next three days we received excellent care and advice as to what our next few treatment days would be like. The plan the Hospital Doctors worked out was right on point. Receiving all the kinds of “Get Well Thoughts and your Love and Prayers points out how great it is to be a Member of CUC. Many Numerous Thank Yous !!!!! Sue Waite also expresses thanksgiving for all the concerns expressed when she experienced chest pain, though after multiple tests in Urgent Care her heart is fine and she just needs to get her BP meds under control. “But among you, it should be quite different. Whoever wants to be a leader among you must be your servant, and whoever wants to be first must be the slave of all. Are You a Volunteer or a Servant? Our teacher this Sunday is Mark Goodwin. Mark taught the class in September of last year and presented a thought provoking lesson titled “Identity Theft”. The title of Mark’s lesson this week is: “Are You a Volunteer or a Servant?” Come hear the answer to that question. The scripture passage he is using is Mark 10:35-45. Sign-ups will be taken until March 24th. A clip board will be passed in class or you can let a committee member know by email that you would like to join in. (Kris Taylor or Mary Serafina ). Simply add your name(s) and mark the column “Host” if you would like to hold the dinner in your home. The committee will start matching up guests and hosts at the end of March. Dinners will be held throughout the spring (April, May, June) as each group selects a date convenient to all. In an effort to be prepared for any emergency there is now a First Aid Kit in the CUC closet equipped with everything from a bandaid to a devices for checking blood pressure and blood oxygen level. In order to determine if what is needed is in the bag, there is a list of supplies included . The Sounds of the Spirit Concert Series and RUMC Women’s Ministry present An Afternoon with Anita Renfroe on Sunday, March 17 at 3 p.m. This Christian comedienne, singer, and author will be sure to entertain with her unique brand of humor. Complimentary childcare is available. Tickets may be purchased in the Main office, Worship Arts office, or online at itickets.com. Mark your calendars and start collecting things you don’t anymore that might bring income to Job Networking at the annual garage sale which is being held at a new time this year. The dates are May 2-4 for the sale and of course a few days before that for volunteers. Virginia Thomason – relief from back issues. “He must become greater and greater, and I must become less and less”. Dr. Michael Cromwell, Associate Pastor for Worship Arts, will be sharing his story and testimony with us this Sunday. Although he has been at RUMC a relatively short time, we have been blessed through Michael’s ministry. Remember to “spring forward” this Saturday night–turn your clocks ahead one hour and be on time for Sunday School this week! Please welcome our newest CUC member, Barbara Zellner. She is already known to choir members. The RUMC Lenten devotion, “Perspectives,” is now available throughout the church. This guide includes writing from our laity, staff, and pastors. Please pick up a guide to use as part of your Lenten journey, and take an extra one to share with a friend. Registration has begun for the SEL spring session. Continuing education classes in finance, art, music, history, theology and more begin March 26 and are held every Tuesday and Thursday for eight weeks in the Dodson Youth Center. The title of this Sundays lesson is: “The Gospel through a rope”. 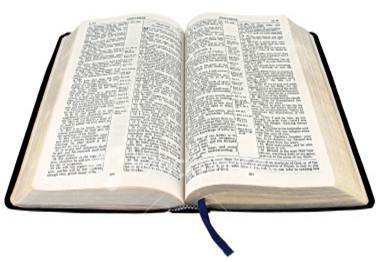 Be sure to read the scripture passage, Joshua 2:12-21 before class so you will have the background for the lesson. Thanks to our CUC Fellowship Committee especially Mike and Garlinn Story and Bill and Patsy Lanham for the planning and putting on the Mardi Gras Party this past Thursday evening. It was really a GREAT party! Sign-ups will be taken until March 24th. A clip board will be passed in class or you can let a committee member know by email that you would like to join in. Please Contact: Kris Taylor or Mary Serafina. 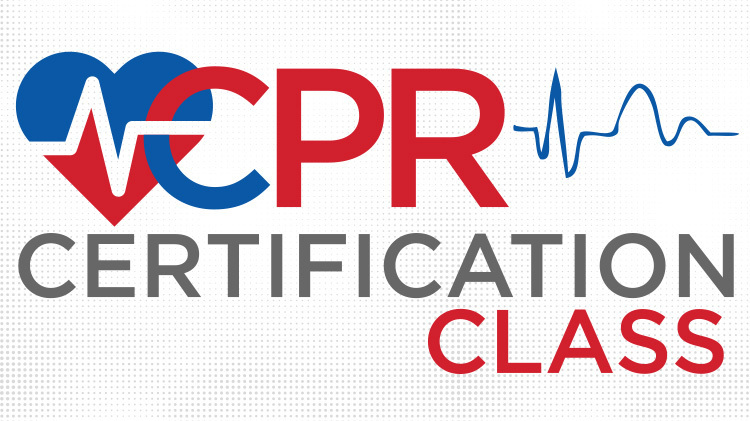 A CPR & AID class for CUC members will be taught on this Sunday, March 3rd, at 12:30 PM, in the A Building in rooms 177 & 178 which are near the elevator. It will be taught by Teresa Dean who is a certified instructor and a member of RUMC. This is for anyone who wants to be newly certified or recertified. The cost is $15.00 per person. We suggest you bring a snack or light lunch. The class should last approx. 1 1/2 hrs. Questions? Please contact Sharon Erdman. Dr. Jeff Ross will lead the Lenten study “Restored: Finding Redemption in Our Mess” by Tom Berlin on Wednesdays, March 6-April 17, from 4:30-5:45 p.m. in Room 358, Chapel building. Jo Adcock, sister of Jim Adcock, being transferred to Manor Care following pneumonia and a fall. Dr. Jim McCormick will be with us again this week and will continue on his topic, “A New Look at Christian Ethics”. Jim stimulated our thinking last week on this subject and we look forward to his concluding this two part series. We are thankful for our CUC refreshments each week. This Sunday they will be provided by Jill Caviness, Peggy Rodway, and Claudia & John Phelps. Welcome Our Newest CUC Member! Welcome John Lemke who has been an RUMC member since 2011 and works on the video production crew. The CUC Mardi Gras party scheduled for Thursday, February 28th continues to proceed exceedingly well. In fact, we have currently reached the capacity of the Bradshaw Farms Clubhouse so we will be holding off on further sign-ups unless we have cancellations. We need those who are signed up but have not paid to bring their check this Sunday to hold your reservation. If you aren’t going to be there, please call Patsy Lanham. We will pass the clipboard for those wishing to be on the wait list. Planning for Mardi Gras decorations, food, and “entertainment” are coming along well, and we are looking forward to a great evening!! It will be a fun evening!! All the information on the party is in the invitation which was sent out last week. The dinner party will run from 6:00 PM to about 9:30 PM. See you there! Contact Patsy Lanham for any questions. CUC is planning for our annual February birthday party at Murphy Harpst in Cedartown this Saturday, February 16. Let Betty Hunt know if you would go to help with the party and/or to see what Murphy Harpst is all about. Many men and women in CUC belong to covenant groups which provide an opportunity for fellowship and study together in a small group. The group that meets on Wednesdays at 11:00 in the 3rd floor B building Conference room invites any interested women to join them. Their next meeting will be Wednesday, February 20. For questions contact Martha Thompson. About the time winter weather is ending, the Peachtree Tea festivities are a bright spot of hope for the families of Home Stretch. The event is on Tuesday, February 26 at 11:00 am at Country Club of the South. The day features a champagne reception and silent auction followed by a wonderful luncheon. Individual and corporate sponsorship opportunities as well as ticket sales and the purchase of raffle items go to support the work of HomeStretch. CUC always has at least one table and we carpool from the church. For tickets contact Homestretch at Homestretch Tickets or call 770-642-9185 ext. 120. Also inform Lynn Adcock who is arranging our CUC table(s). Life on Mission: Serving Side By Side is the theme of RUMC’s 13th annual GIC, Feb. 28 – March 3. This is a four-day, church-wide event packed with opportunities for you to engage in the missional movement of RUMC. Several local ministry partners and global missionaries will be onsite to share the stories of Roswell and our world. There will be opportunities to assemble snack packs for students served by Action Ministries, have a Saturday in the Park, pack a crate to send to Venezuela, and learn about current issues impacting God’s people. Help us Pack the Crate! As part of this year’s Global Impact Celebration, we will be “Serving Side by Side” to pack and send another crate to the people of Venezuela through the agency Venezuela Now! The items needed are very specific: acetaminophen (Tylenol), ibuprofen (Advil), infant Tylenol and Advil, children’s and adult’s multi-vi­tamins, powdered infant formula, canned chicken, dried rice, and dried beans. Please deliver to church by Monday, Feb. 25 to the Welcome Center, Sanctuary building, or the Main Office, Chapel building. Join us weekly from 4:45-6:30 p.m. for dinner in the Fellowship Hall. March 22-24. Friday show at 6:30 p.m.
$15 for general admission/$30 reserved seat. Sunday show only at 4 p.m.: $10 general admission/$25 reserved seat. CUC now has a prayer request basket at the door where you enter the classroom. These will be read at the microphone at the appropriate time. This is to help eliminate the problem of not being heard when the speaker requesting prayers is away from the microphone. Prayer requests can also be emailed to: Sara Beecham . Our CUC lesson this week will be presented by Dr. Jim McCormick. Jim is one of our very favorite teachers and will be with us for two Sundays. His topic is “A New Look at Christian Ethics”. The CUC Mardi Gras party, set for Thursday, February 28th, is proceeding well. We already have 59 members signed up for the dinner//potluck+/party!! We have room for 80 guests for the dinner, at the Bradshaw Farms Clubhouse, and are looking forward to more folks signing up. We are targeting to have guests signed up by Sunday, Feb. 17th, so we know how many people to plan for at the dinner. It will be a fun evening!! $7.50/person covers the clubhouse rental, ingredients for the main entrees and two King Cakes. The dinner party will run from 6:30 PM to about 9:30 PM. See you there! Contact Patsy Lanham if you do not get to sign up in class. CUC is planning for our annual February birthday party at Murphy Harpst in Cedartown on Saturday, February 16. Let Betty Hunt know if you would go on that date to help with the party and/or to see what Murphy Harpst is all about. CUC is collecting prizes for the party-goers. Pam Kramer at Murphy Harpst , when asked for suggestions of Bingo prizes, replied that those “that work best” are candy bars, drinks (Gatorade, teas, sodas), Ramen noodles, and decks of playing cards. Again on February 10 a basket will be passed to collect any cash donations to pay for party expenses. The committee appreciates any support the CUC Class provides for Murphy-Harpst Children’s Center. CUC has received several heart-warming thank you notes/letters from the teenagers who received generous gift cards which were sent to Murphy Harpst paid for with CUC’s Christmas donations. These will be displayed on the bulletin board in CUC class. Many men and women in CUC belong to covenant groups which provide an opportunity for fellowship and study together in a small group. The group that meets on Wednesdays at 11:00 in the 3rd floor B building Conference room invites any interested women to join them. Their next meeting will be Wednesday, February 20. For questions contact Martha Thompson. The items needed are very specific: acetaminophen (Tylenol), ibuprofen (Advil), infant Tylenol and Advil, children’s and adult’s multi-vi­tamins, powdered infant formula, canned chicken, dried rice, and dried beans. Please deliver to church by Monday, Feb. 25 to the Welcome Center, Sanctuary building, or the Main Office, Chapel building. The day features a champagne reception and silent auction followed by a wonderful luncheon. Individual and corporate sponsorship opportunities as well as ticket sales and the purchase of raffle items go to support the work of HomeStretch. CUC always has at least one table and we carpool from the church. For tickets contact Homestretch at Website or call 770-642-9185 ext. 120. Also inform Lynn Adcock who is arranging our CUC table(s). RUMC Travelers Club will meet on Thursday, Feb. 14, at noon in the Fellowship Hall. Following lunch, the program will be provided by Chris Nelson, Executive Director of the Chattahoochee Nature Center in Roswell. Advance tickets to the performance at 3 p.m. on March 17 are $20 for adults and $15 for students and seniors (65+) and may be purchased in the Main Office, Worship Arts office, or online at iTickets.com. Information: Ann Moore, amoore@rumc.com or 770.261.1719. Acting UP! presents the zany dark comedy “Arsenic and Old Lace,” March 22-24. Friday show at 6:30 p.m.
Sunday show only at 4 p.m.
CUC now has a prayer request basket at the door where you enter the classroom. These will be read at the microphone at the appropriate time. This is to help eliminate the problem of not being heard when the speaker requesting prayers is away from the microphone. Prayer requests can also be emailed to: Sara Beecham. For the weekly newsletter please send updates on any of our ill or recovering classmates to the editor: Sue Waite. Rev. Harvey West – recovering from surgery for colon cancer – no chemo or radiation treatment required. Our teacher this week is Dr. Jeff Ross, Pastor for Adult Discipleship. The title of Jeff’s lesson is, “When We Overthink Our Faith”. His scripture is Luke 7:36 -50. We look forward to having Jeff lead us this Sunday. At Sunday’s CUC Class Mike Story announced the Fellowship Committee’s planned events for the next 6 months. Feb 28 – Mardi Gras dinner party at the Bradshaw Farms clubhouse. A “potluck+” where guests will bring salads, appetizers, deserts, etc., and the main entrée will be prepared by the Fellowship committee. Decorations will have a Mardi Gras theme, and wearing Mardi Gras apparel will be welcomed. There will be a $7.50 cover charge for the clubhouse rental and entrée ingredients. Sign-up sheets will start Sunday, Jan 27. June 26 – DOD Building CUC Potluck, coordinated by Claudia Phelps, with entertainment, and the same venue as our successful potluck a year ago. Claudia will coordinate information sharing and planning with the CUC at future Sunday Class gatherings. Trips – Patsy Lanham is organizing for two potential trips: one to the Chick Fil A headquarters, and one for an Atlanta “Beltline Tour”. More information will be shared in future CUC meetings by Patsy. Small Group Dinners – Kris Taylor is coordinating these, and she will be putting out sign-up sheets in March for dinners to be scheduled in April and May. RUMC will provide magnetic name tags for you to wear for church events. If you would like one contact Gale Davis to be added to the list. If you lose the magnet to fasten it on, you can get a replacement from the church office. Supplies are needed for the Altar Your Life Mission Project. RUMC Youth will be supporting hurricane relief in Panama City, Florida this spring. Please consider donating flat bars for demolition of sheet rock, hammers, work gloves, face masks (N95), nail aprons, trash bags (large/heavy duty), shovels, brooms/dust pans, stepladders, insect repellent, sunblock, baby diapers and formula, dry dog/cat food, bed linens, towels, and gas cards. Barbara Davis – who is still suffering from Shingles which has affected her eye. Linda Temples– who had been briefly hospitalized recently following collapse due to calcium imbalance. She is having further tests to determine cause and treatment. Our teacher this week is Dr. Ron Greer, Director of Pastoral Counselling Service at Peachtree Road UMC. Ron has been with us several times and we are fortunate to have him come to lead us this Sunday. He is the author of four books. His latest, The Path of Compassion was his subject the last time he was with us in February of last year. Ron’s subject for Sunday is: “Reclaiming the Heart of Christian Values”. Please welcome our newest CUC members, Maureen and Gene Osborn. CUC will be having a prayer request basket at the door where you enter the classroom. Someone will read these requests at the microphone at the appropriate time. This is to help eliminate the problem of not being heard when the speaker requesting prayers is away from the microphone. CUC has received a letter of thanks from Murphy Harpst. CUC members have recently given over $4,000 to Murphy Harpst. The Pioneer Award is presented to an individual who blazed a new trail preparing the way for others to follow. This is a special award and is not presented every year, but this year the Awards Committee chose to present the Pioneer Award to a recipient who fits the description perfectly. RUMC Job Networking which partners as an employment resource and right arm to the Greater North Fulton Chamber of Commerce. All of these organizations continue to thrive and provide great service to our community. (At the awards ceremony they failed to mention Homestretch and the Foster Care Support Foundation). Malone truly pioneered the philosophy of giving and community unity in support of community needs by uniting all the people who could make a difference and teaching people their responsibility to contribute time, talent and treasure. Betty Hunt reports anther package of our contributed Box Tops have been sent off. CUC members are asked to clip Box Tops for Education, small red rectangles on supermarket items like General Mills cereals and Ziploc plastic bags. There is a basket in the classroom every Sunday for any Box Tops brought in, and when enough are collected they are mailed to Red Bird Mission School to be used for needs not covered by its budget. Box Tops for Education are available on fewer and fewer supermarket items and are worth only ten cents each. Still, the Mission Outreach Committee hopes CUC members clip them and bring them to class. Red Bird Mission School is part of the Red Bird Missionary Conference of the United Methodist Church in the United States. Because of its location in Beverly, Kentucky, a very poor community in Appalachia, the best hope for young people is a good education. Members of our class have visited this isolated area and found that the conference’s ministry of outreach services to families and its school, grades pre-school to 12, make a big difference in the lives of the people there . High school graduates can go on to technical school, college, or the military. Anyone wishing to donate to this cause can send checks to Red Bird Mission School ,70 Queendale Center, Beverly, KY 40913-9607. For those wanting to receive a weekly e-mail of Debbie Goodwin’s devotional blog, go to her website at www.debbiegoodwin.net and scroll down until you find the “Let’s Connect” box. Marisol Roberts – Lynn & Dave Roberts’ daughter-in-law is now home after serious illness and is expecting a long recovery. Thanks for continuing prayers. When he left there, he met Jehonadab, son of Rechab, coming to meet him; he greeted him and said to him, “Is your heart as true to mine as mine is to yours?” Jehonadab answered, “It is.” Jehu said, “If it is, give me your hand.” So he gave him his hand. Jehu took him up with him into the chariot. He said, “Come with me and see my zeal for the Lord.” So he had him ride in his chariot. Scott Dickson will be back with us this Sunday. The title of his lesson is: “A Catholic Spirit”, based on John Wesley’s Sermon 39, from his standard sermons. This week’s scripture goes along with this lesson. We appreciate the insights Scott brings in his teaching. We are thankful for our CUC refreshments each week. This Sunday they will be provided by Betty Smith, Jill Head, and Norma & Dave Hills. Starting this Sunday CUC will have a prayer request basket at the door where you enter the classroom. Someone will read these requests at the microphone at the appropriate time. This is to help eliminate the problem of not being heard when the speaker requesting prayers is away from the microphone. For those wanting to receive a weekly e-mail of Debbie Goodwin’s devotional blog, go to Debbie’s website at www.debbiegoodwin.net and scroll down until you find the “Let’s Connect” box. Start the new year off by re-engaging with your faith through participation in one of RUMC’s many Bible studies! New studies are beginning, with offerings almost every day of the week, both morning and evening. All are welcome; no previous study required! For more information, visit rumc.com/biblestudies or pick up a 2019 Discipleship Guide, available throughout the church. Start the new year right by bringing in those accumulated box tops and flip tops for Red Bird Missions and Ronald McDonald Houses! We are fortunate this Sunday to have a very special guest to bring our lesson which will add insight and meaning to our scripture verse above. Courtney Cox, granddaughter of Linda and Jim Boswell, will share her perspectives gained from a year long experience with Adventures in Mission. During her time with Adventures In Missions, she basically traveled around the world and had opportunities to interact with other cultures and people groups as they presented the gospel and offered hope in very diverse situations. Courtney’s presentation will help us appreciate how young people are making themselves available to go to the ends of the earth, as Jesus commanded. Come prepared to be blessed and challenged!! CUC will meet as usual. There is only ONE worship service on Sunday, December 30 at 11:00 in the sanctuary. Nancy Wright reports that she recently took 27 pounds of pop tops collected by CUC members to one of Atlanta’s two Ronald McDonald Houses. Since 2010 pop tops have provided a total of $133, 000 toward these Ronald McDonald houses which have provided lodging every year for over 2000 families of ill or injured children. It seems like such a little thing to do, to take tops off of can tops, but $133,000 in 8 years is not insignificant!! As you make your year-end donations to the RUMC Foundation, don’t forget the CUC Endowment. Start the new year off by re-engaging with your faith through participating in one of the many RUMC Bible studies! New studies will begin in Jan­uary, with offerings almost every day of the week, both morning and evening. All are welcome; no previous study required! Registration is ongoing for SEL’s Winter Session which runs from Jan. 8 – Feb. 28th on Tuesdays and Thursdays. SEL offers 23 different classes and the $50 fee covers taking as many classes as you like. Registration can be done online at www.selroswellga.org or you can mail in a paper copy. See Bonnie White for a brochure or call 770-587-3750 for more details. Lynne and Dave Roberts – Jan 3, 1961 – 58 years ! Barbara Davis – who is suffering from Shingles which has affected her eye. She is seeing a corneal specialist. CUC’s speakers this Sunday will be Rev. Keith Lawder, President and Chief Operating Officer of the Georgia United Methodist Foundation, and Kim Brammer who has been our Executive Director of the RUMC Foundation. Their message will be “Working Together… RUMC and the Georgia United Methodist Foundation Make a Great Team”. A special thank you goes to Wanda Taylor who coordinates our refreshment providers each week. And here is an additional reminder that if you have arranged to exchange your Refreshment Provider date with someone else, or if you are unable to provide refreshments on your assigned date, please let Wanda or Terry Taylor know. 98 members +1 visitor + 1 teacher = 100! CUC Wednesday Night Dinner for August 1, at Peach & the Pork Chop was attended by 31 CUC members and guests. Next Wednesday, on August 8th at 5:30pm, CUC will dine at Family Tradition Restaurant [MENU], 7830 Hickory Flat Hwy (Ga 140), Woodstock, This will be our last WNO for the summer. The clipboard will be passed on Sunday to sign up. If you want to come and don’t sign up, or if you sign up and cannot attend, please call Ann or Larry Douglas by noon Tuesday, so we can provide the restaurant with an accurate count. MUST Summer Lunch program is over for the summer and will not be needing any more apples. Thanks for all the apples we received! And thanks for all who volunteered in making the lunches! Lynn and Jim Adcock offer their thanks to a number of CUC members, especially Jeff Cohelo , who worked to prepare and put on the Adcock’s successful garage sale following their move to smaller quarters at Huntcliff. A portion of the earnings from the garage sale will go to the CUC Foundation. Be sure to tell your neighbors and friends and come out yourselves to support the Job Networking program at the annual RUMC Garage Sale (and the Cake Sale) this Friday and Saturday. There are all kinds of treasures to be found at lowest possible prices while supporting a good cause. You’ll be seeing a lot of your CUC friends there too as CUC is well-represented with Garage Sale volunteers. The RUMC Choir is holding an open house in the choir room for their August 15th, 7:00 PM rehearsal. Amy-Jill Levine. Life in first-century Palestine was very different from our world today, and many traditional interpretations of Jesus’ stories ignore this disparity. In this Bible study, Amy-Jill Levine analyzes these “problems with parables” taking readers back in time to understand how their original Jewish audience understood them. Jim Boswell will be going to the Cleveland Clinic on Monday for an evaluation and next steps for his heart valve issue. Grandson, Andrew Cox, will be traveling with them to “take care of the old folks”. They will be back on Wednesday. Pray for a safe trip with encouraging results. Also the Boswell’s granddaughter, Courtney Cox, is safely back in Atlanta after 2 months of mission work in Cambodia and Thailand. She’s good, but had to leave one young man in a Bangkok hospital with possible encephalitis or meningitis. His parents are with him, but it is very serious. Please include him in prayers. Dee Scott– for relief of pain and rapid healing of the shoulder fracture which occurred when she fell at Job Networking. Norma & Dave Hills – August 11, 1957 – 61 years! Scott Dickson returns to CUC this Sunday for the second part of his most interesting lesson “Looking Deeper at the Parables”. He is looking at the parables in a different way, making us think about where and when Jesus taught them and who His listeners were. Jesus by Amy-Jill Levine and The Parables of Jesus by Jim Fleming. CUC Wednesday Night Dinner for July 25 at Brookwood Grill was attended by 33 CUC members and guests. Next Wednesday, August 1 at 5:30pm, CUC WNO will be at Peach & the Porkchop, 12040 Etris Rd, Roswell . The clipboard will be passed on Sunday to sign up. If you want to come and don’t sign up, or if you sign up and cannot attend, please call Ann or Larry Douglas by noon Tuesday, so we can provide the restaurant with an accurate count. Thanks again to those who donated financial assistance and those who assisted with the sandwich making for MUST and especially to those who served on the committee. Over the last 2 years CUC has provided lunches using over 5,000 slices of cheese, 15,000 slices of ham, 15,000 slices of bread and over 200 man-hours. Job Networking Garage Sale Extravaganza Next Week! You may drop off items for the Garage Sale on Sunday with people waiting at the “Scout Hut” starting at 8:30 am and again between and after services. Volunteers will be able to help you unload your car. However, if possible, wait and donate on Monday, July 30 or Tuesday, May 31. Jan Ligon reminds us that the antiques that our kids don’t want would be of great value for the garage sale. Gale Davis reminds us that those good clothes that we hardly ever wear will be great for our boutique. We are not taking men’s clothes or shoes this year. We want women’s clothes on HANGERS please. Plan to volunteer at almost any time during this coming week for the Garage Sale Extravaganza August 2- 4th. (You do not have to sign up ahead if you realize you have time to help out.) CUC always has a large group of volunteers working that whole week. Consider donating homemade baked goods and/or purchasing baked goods at the Job Networking fundraising Bake Sale. Drop off baked goods next Thursday, 8/2, 12:00-2:00 at the south side of Chapel Building just before the portico. Please identify baked item and include your name. Someone will be at curbside to receive your baked goods. The Bake Sale is on Friday, August 3, 8:00am-6:00pm Bldg B, Room 123-125.Questions? Contact Claudia Phelps. There is an additional garage sale going on this Friday and Saturday from 9:00 to 2:00 at the home of Lynn and Jim Adcock, 1455 Woodcrest Drive, Roswell, to assist them in clearing out their home of 45 years, before everything else is moved to the RUMC garage sale. They have many beautiful things they have accumulated over the years that just won’t fit in their new apartment at Huntcliff Summit. Come and encourage others to came and you may find some treasures. Tools, glassware, appliances, decorative items, beautiful oriental rugs, gifts, linens, toys, games, books, and some very nice women’s clothes sizes 12-16 and shoes size 8, etc., etc. No, it is not too early to begin thinking about Christmas! Not when there are such great sales of school supplies going on! You can start your collection of shoebox items by shopping early!